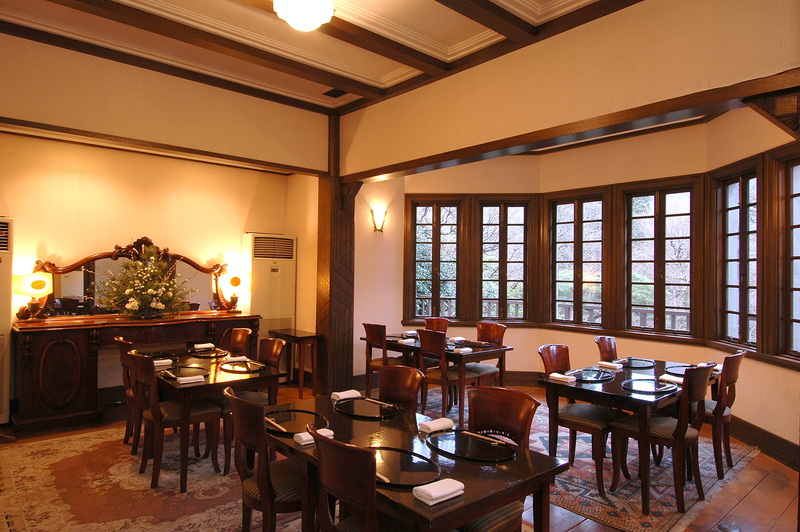 Please thoroughly enjoy our kaiseki cuisine made with ingredients at the peak of their freshness at a western villa associated with the Imperial Family. Kadan Spa is in an exotic space built with nature in mind and provides massages performed with excellent hand techniques and carefully-selected cosmetics. 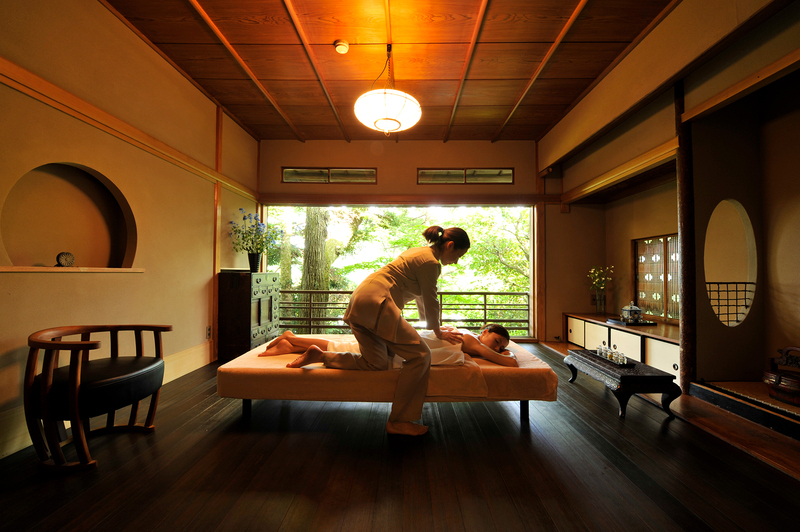 We provide an on-site shiatsu massage as well. Abundant and mildly alkaline hot spring water wells up from private sources on the premises and eases your everyday fatigue. 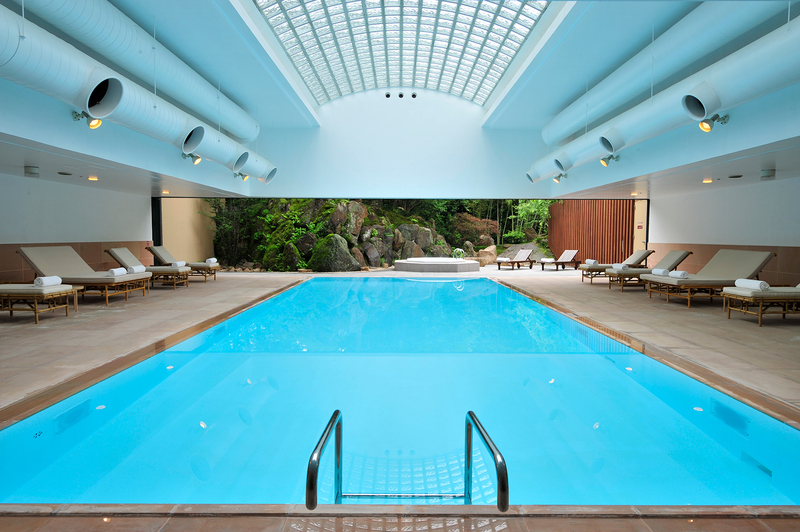 The spa is separated for men and women, and we rotate the baths at night so that you can enjoy them both during your stay. 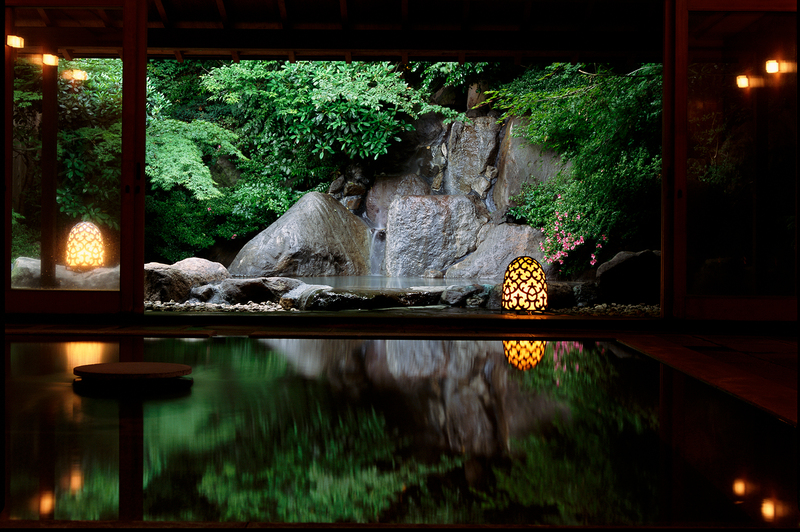 You can reserve an open-air bath flowing directly from the source with a steam sauna attached for 40 minutes at no additional charge. A warm-water swimming pool with an outdoor hot tub. The pool and hot tub are available for use from 7 a.m. to 7 p.m. for everyone, and from 11 a.m. to 7 p.m. for junior high school students and younger. The pool is open for guests at no charge. Swimsuits and bathrobes are also available for rent. 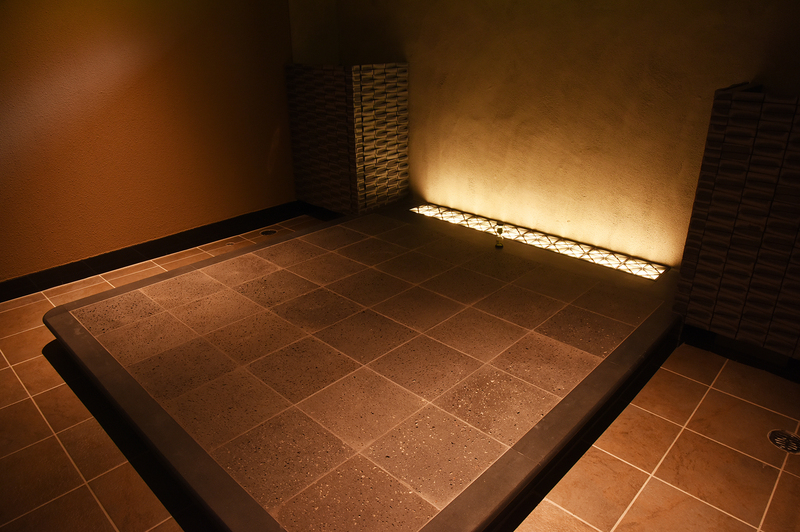 Natural rocks used in the bedrock bath emit far infrared rays, which are said to have a strong detox effect. Our gym has the latest equipment. 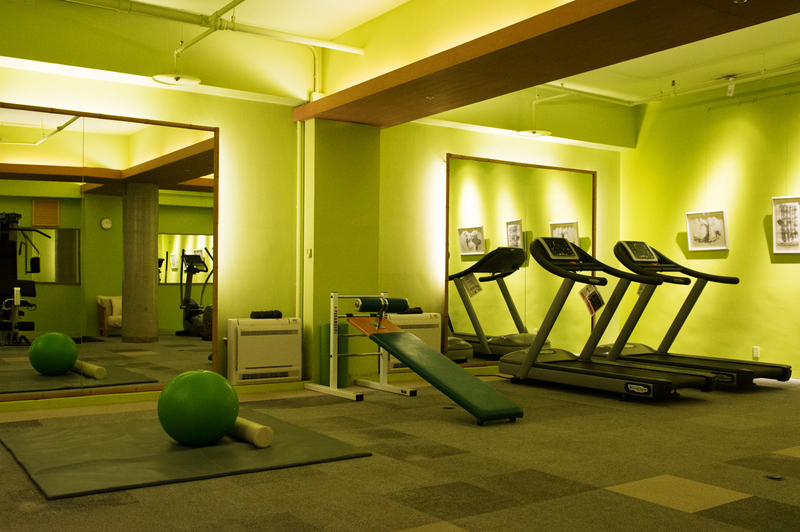 The fitness gym is open from 8 a.m. to 7 p.m. Wear and shoes are also available for rent. 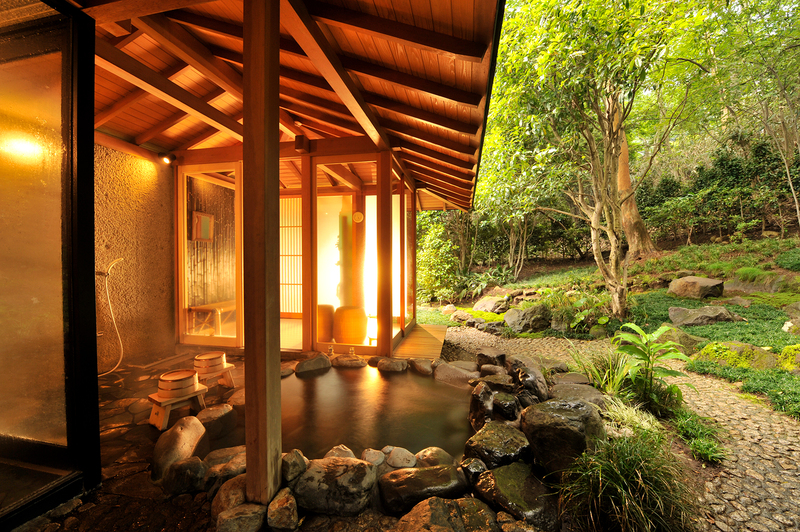 *Lounge "Hana Kage" and a gift shop are the only facilities available for day visitors.